Alexia Ciannor, the girl that started it all in the classic Witchfire adventure series for the Iron Kingdoms. 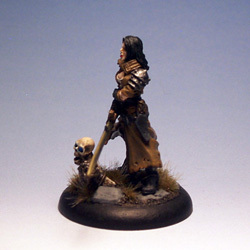 This is not the official Warmachine Mercenary mini, but the original Iron Kingdoms RPG mini. 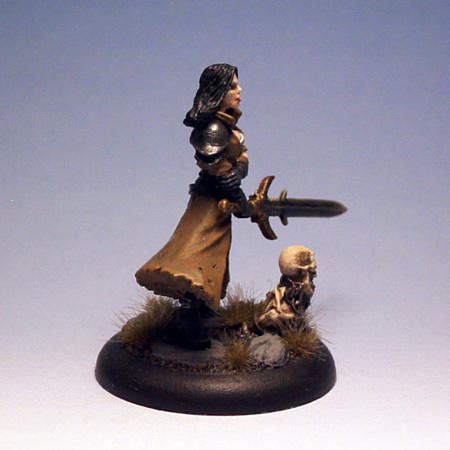 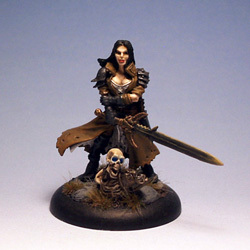 This older mini better captures the way I imagined the character in the adventure series. I added a skeleton emerging from the ground at her feet. 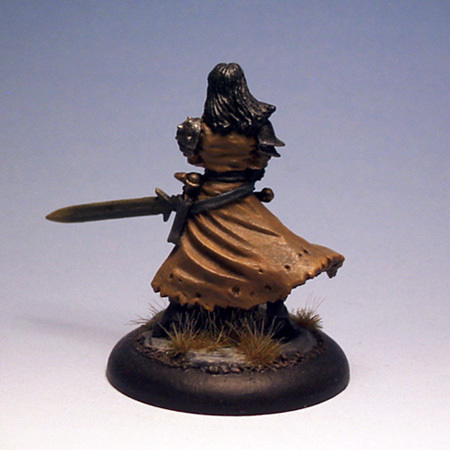 This is a rather old Rackham Online Store exclusive which I finally found a perfect place for.